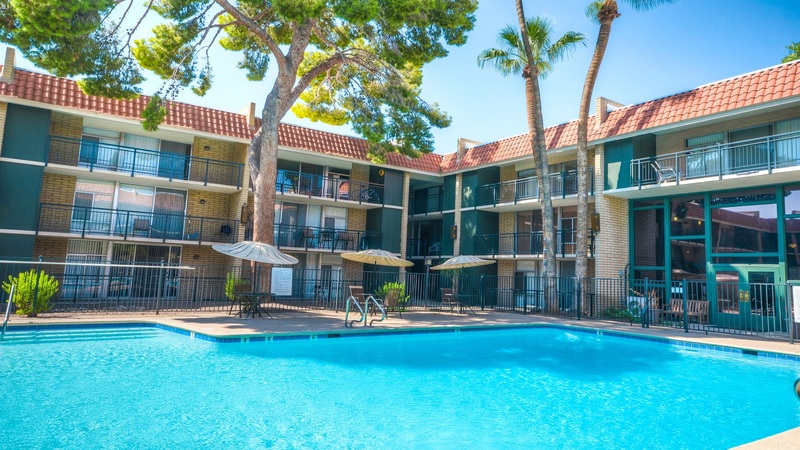 Phoenix, AZ – March 14, 2018 – ABI Multifamily, the Western US's leading multifamily brokerage and advisory services firm, is pleased to announce the $7,925,000 / $58,704 Per Unit sale of the Brookfield Terrace Apartments located in Phoenix, Arizona. Brookfield Terrace is a three story, garden-style apartment community which rests on approximately 2.28 acres. The unit mix consists of all one-bedroom/one-bathroom units measuring 602 square feet. All utilities are master-metered including electricity, gas, water, and sewer and hot water for the property is provided by master boilers. Units feature air conditioning / heating, balcony / patio, ceiling fan(s), oversized closets, walk-in closets, ceramic tile flooring throughout, and a kitchen equipped with a garbage disposal, gas range / oven and refrigerator. Brookfield Terrace also provides its residents with a swimming pool and hot tub, clubhouse with billiards and kitchen, lighted walkways and common areas, two newly renovated laundry facilities and covered parking. "Brookfield offered the buyer a number of strategic advantages," states Alon Shnitzer, Senior Managing Partner at ABI, lead broker for this transaction. "First, the Buyer was seeking a property in an up-and-coming submarket with potential to increase rents via further property upgrades. The buyer, CALCAP, intends to invest over $1M into property upgrades, including improving the property appearance along 19th Avenue, renovating apartment interiors, and updating the common areas enjoyed by residents. Second, the Buyer sees the Metro Light Rail corridor, particularly the northern end, as an area with more room for growth. The property is, essentially, across the street from the 19th Avenue/Glendale Light Rail stop and less than one mile from Christown Spectrum Mall. As residents have been displaced with all the new high-end developments occurring in more urban core areas along Light Rail, the Buyer hopes to capitalize on this movement by offering a premium, renovated property with more attractive rents." The Buyer, California Capital Real Estate Advisors, Inc. (CALCAP) is an experienced multifamily investor based in California. Founded in 2008 and led by former senior leaders of one of the largest thrifts in the U.S. Partnering with businesses, asset managers, real estate investors and developers, CALCAP represents individual and institutional investors by strategically allocating capital across a multitude of real estate investments. The Seller, iA Financial Group, is an experienced Canadian-based multifamily lender. Founded in 1892, iA Financial Group offers a comprehensive range of life and health insurance products, savings and retirement plans, mutual and segregated funds, securities, auto and home insurance, mortgages and car loans as well as a host of other financial products and services. iA Financial Group has operations throughout Canada and stands out for the size and diversity of its Canada-wide distribution channels. The company also has operations in the United States. The multifamily brokerage team of Alon Shnitzer, John Kobierowski, Rue Bax, Eddie Chang and Doug Lazovick represented both the Buyer and Seller in this transation.